Victor Hedman, an NHL goaltender? One of hockey's best young blueliners started out stopping shots rather than taking them. His mother, however, suggested a change, one that would help land him a spot on hockey's biggest stage. Hailing from hockey-rich Örnsköldsvik, Sweden, home to such NHL notables as Peter Forsberg, Markus Näslund, Niklas Sundström, and the twins Daniel and Henrik Sedin, Hedman's formative years in the game saw him snagging slapshots and poke-checking forwards. Sensing he had the opportunity to make more of an impact outside of the crease, his mother bought him a Christmas gift that would present a chance for her son to see the game from a different perspective. It appears mother knows best. Hedman recorded 25 points in 34 games during his first full season in the Swedish junior ranks in 2006–07. The next year, he turned pro and joined the Elitserien with Modo at the age of 16. At the beginning of the 2008–09 season, he was ranked first overall among all draft-eligible skaters in the International Scouting Services' preliminary rankings. That same campaign, Hedman was nominated as the Elitserien Rookie of the Year 2008–09. Following his performance at the 2009 World Junior Championships, he was listed atop the rankings of European skaters by the NHL Central Scouting Bureau. Although it was a huge unlikelihood that Hedman would play in Russia, he was drafted 83rd overall by the Kontinental Hockey League's Spartak Moscow on June 1, 2009. Heading into the 2009 NHL Entry Draft, he was listed as the number two ranked player and top European player. Hedman, who was selected second overall, made his NHL debut with the Lightning on October 3, 2009 against the Atlanta Thrashers. He also registered his first point, an assist, on a Martin St. Louis goal. 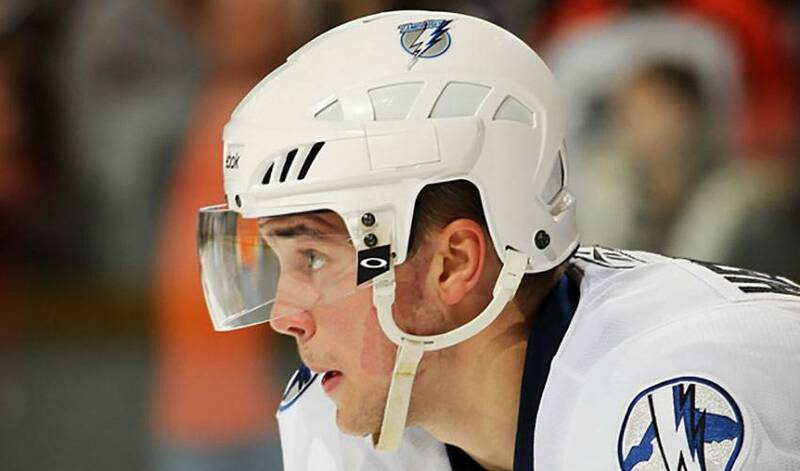 His first NHL tally came 13 days before his 19th birthday, on December 5, 2009 against the New York Islanders. The strapping defenceman – he stands 6'6” and weighs 230 pounds – is also grateful to have fellow Swede Mattias Ohlund as a teammate, a veteran who has had a huge influence on Hedman, both on and off the ice. Hedman, just like Tampa teammate Simon Gagne (who was recently featured on NHLPA.com), likes what he sees in the Southeast Division club, a team that has their sights firmly set on a return to the playoffs. On a personal level, Hedman will look to build off a solid rookie season, one that saw him score four goals and total 20 points. While it took some time to get comfortable in his new surroundings, Hedman admits he's feeling right at home in the Sunshine State. So when it comes to his wish list for the holidays this year, the one thing Victor Hedman won't be asking for is a new helmet or a change in position. “No, I won't need to do that anymore,” he said with a laugh. Does that mean he's happy that his mother stepped up and made a big decision for him as a kid?